The maturing World Wide Web is changing the way we interact and learn. It is also challenging our television culture of the last five decades and changing the way that we seek and find news. To that end, the Web now contains over 100 million Web sites and 15 million blogs. Over eighty-five percent of organizations have Web pages. And nearly every news source in the world posts content online, including this newspaper. I have many interests that are represented within those 100 million sites: parenting, information management, education, recipes, knitting, sports, hiking, biking, business news, world news, and so on…. At last count, I had 73 news sources bookmarked in my Web browser. Even on my best days of time management (which come around about twice a year), I have no hope of tracking each of those sources and the valuable information that they provide. Last month, I wrote that the goal of this column is to share some of the technology tools that complement, not complicate, our lives. One of the best is a tool called RSS, or Really Simple Syndication. I’m not going to prattle on about the technical specifications, because what is important for this column is that it takes a task that would take hours and reduces it to ten minutes. And it allows us the luxury of staying informed about our various interests while having time left over to play with our kids or enjoy a beautiful sunset. Readers, or aggregators, were the first method for tracking syndicated content (those news articles that you choose to have delivered to you). The two most popular readers are Bloglines and Google Reader. After you register an account and add your headlines, you can access your page from anywhere you have Internet access. Over the past year, most of our favorite home pages have added the ability to personalize content. Again, some of the most popular are iGoogle, My Yahoo!, and My MSN. These home pages are similar to feed readers, but they offer you the option of adding more than just RSS feeds or headlines: local weather, local movie showtimes, sports scoreboards, stock tickers. As with readers, you can access your home page from any computer or mobile device with Internet access. The latest releases of the major Web browsers include built-in RSS feed readers. Internet Explorer 7+, Firefox 2+, and Safari 2+ are the most popular. The RSS Feeds that you add to your browser are located on your local computer, so you lose some transportability if that computer is on your desktop at home. However, for ease and speed of use, browser readers are the friendliest, as you don’t have to visit a Web site to view your headlines. Once you have decided on your method for pulling headlines or news content to your computer, adding sources is easy. Almost all Web sites that add content regularly offer RSS. Look for a small icon like the one above. Most sites use the conventional orange icon. Once you click on the icon, a text page of the site’s headlines appears. This page can be added to the favorites or live bookmarks in your Web browser (check the help menu for step-by-step instructions). 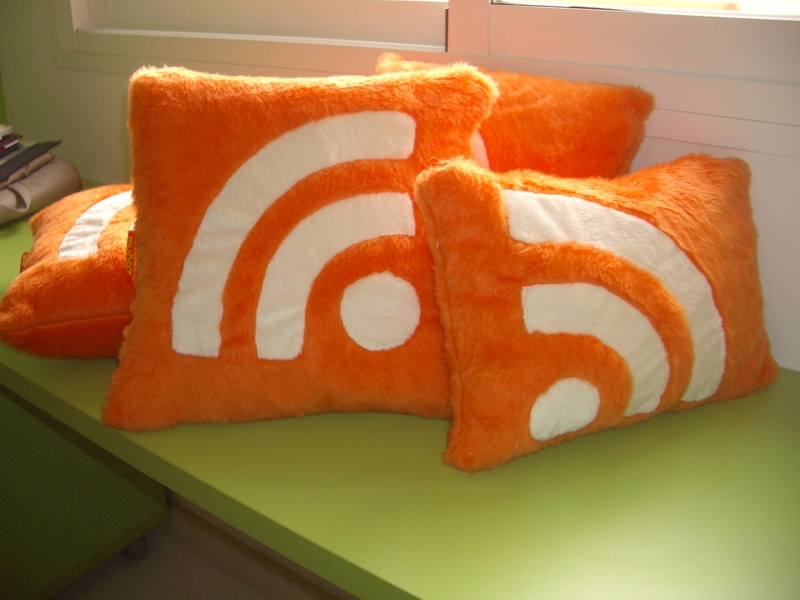 In Bloglines, Google Reader, or personalized home pages you can use the RSS icon or you can add sites directly (again, check the help menu for specific instructions). Each time you visit your page or click on your feeds in your browser, a list of the latest headlines appears. You can still visit the originating sites with the click of a button, but you’ve saved hours in monitoring each one manually! So, we can use RSS to harness some of the informational power of the Web, and it’s a useful tool to combat information overload. But, there are still many times when we have to search for information. We’ll tackle Google and its brethren next month—there are some simple tricks and tips that can help us narrow that set of 13 billion search results to a much more manageable, much more relevant set. Until then, happy surfing!